Vesna Pavlović’s Intersections work, Illuminated Archive (on view through September 28th), uses imagery from our 1963 exhibition Giacometti. That exhibition was years in the making and required many loans of large sculptural pieces which can be difficult to manage. Planned while Duncan Phillips was in his late 70s, his wife Marjorie played an active role in the securing of loans, writing many letters to museums as well as prominent collectors such as William and Babe Paley and Joseph Pulitzer, Jr. Assisting with locating works in both public and private collections, the Pierre Matisse Gallery provided Marjorie Phillips with the lists below, which were thoroughly annotated as the exhibition planning proceeded. Works by Alberto Giacometti in public and private collections as listed by Pierre Matisse Gallery for The Phillips Collection. The Phillips Collection Archives, Washington, DC. The result was a beautiful and popular show. The Phillipses remarked that they were so pleased, they wished it could remain as a permanent part of the museum. 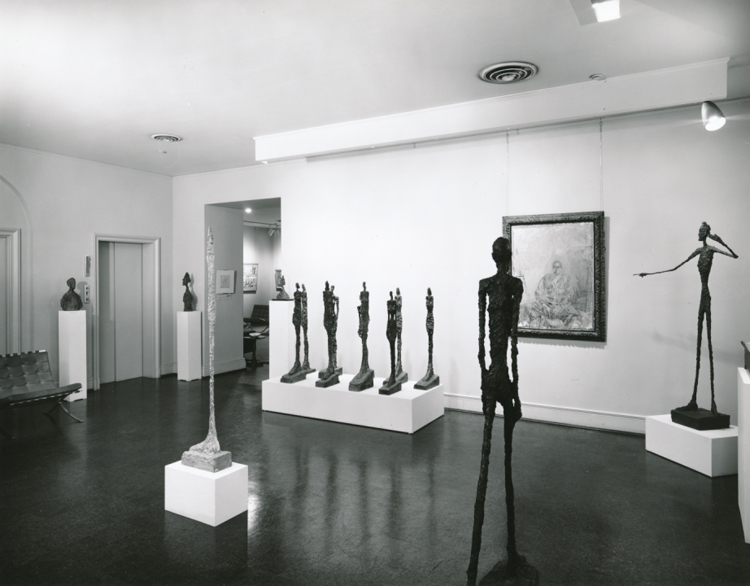 Giacometti exhibition, 1963. The Phillips Collection Archives, Washington, DC. 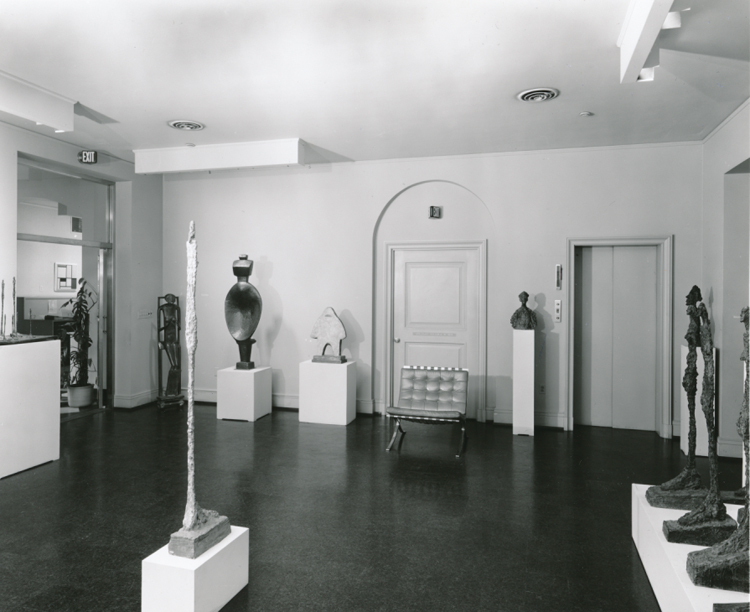 This entry was posted in Exhibitions, Intersections and tagged Alberto Giacometti, archives, Exhibitions, installation photos, Marjorie Phillips. Bookmark the permalink. As a young girl in the early 1960’s, I was fascinated with Giacometti and remember seeing an exhibition of his sculptures (likely the Whitney or MoMA) around the same time…perhaps the exhibition travelled to NY. His works certainly have the ability to make a big impact on anyone, but especially children. This show did not travel to New York, but Giacometti works were requested for loan for this show from the collections of the Museum of Modern Art and the Guggenheim.